Do you want to watch your favorite video in MediaCenter? These components are tested on x64. Standard Codecs and Standard x64Components also available. These components are tested on x64. 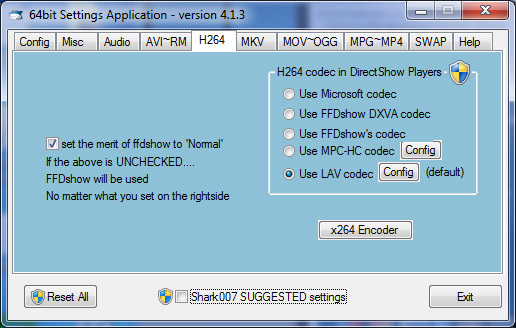 This release is fully compatible with the 32bit codecs installed by the Vista Codec Package. It is fully uninstallable through the Windows interface. Windows 64 bit is required. This release will not install on a x86 systems. 4,420 5,588 Shark007 Jan 09, 2014 - 23:20 4.4.4 20.96MB EXE , out of 23 Votes.